SB: You’ve mentioned on your blog that the diagnosis was very difficult for you to accept. 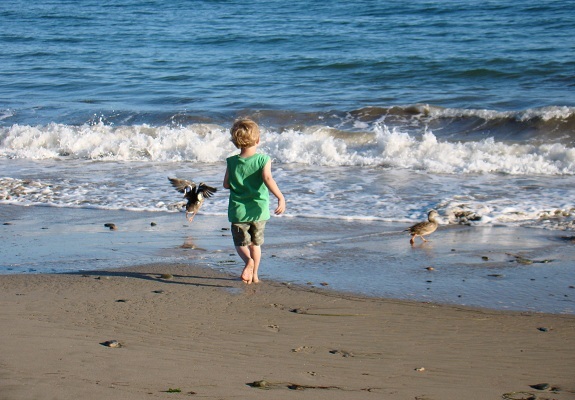 What advice would you give to other parents who are struggling to come to terms with a diagnosis of CAS, and how did your other two children cope with it? JK: No parent wants to see their child struggle with anything. Speech was something I never thought would be an issue. My two older children had absolutely no problems. In fact, my daughter was talking in sentences by the time she was a year and a half. Speech is something you take for granted; it’s supposed to come naturally. When my son was diagnosed with Childhood Apraxia of Speech it was devastating. It was a word I had never heard; I didn’t even know it existed. I think the scariest part was not having definitive answers. I read everything I could find online. The theme over and over was every child is different, the outcomes were so varied. Some children quickly moved through speech therapy and had great success. Others were never verbal communicators. The thought of my son possibly never being able to speak was killing me. If I could offer advice to other parents, I would say take a deep breath and know that you are not alone. Understand that this is going to be a process. It will take time to sort through your thoughts and feelings. However, gather your strength and move forward for your child’s sake. Worrying, putting blame on yourself, lashing out at people you love is unproductive. Your child needs you to be strong and able to offer complete loving support. The sooner you can get your child help, the better the outcome will be. Knowledge really is power. Do as much research as you can. Talk to other parents who have been through this. Find a therapist who works well with your child. One who is trained to work with CAS and has had good outcomes with other patients. A great SLP will be willing to try various methods to see what works best for your child. Find an SLP who is willing to teach you how to help your child talk. A therapist has such a limited time, you have unlimited opportunities to help your child at home when you are given the tools to do so. Learn how to create a language-rich environment. 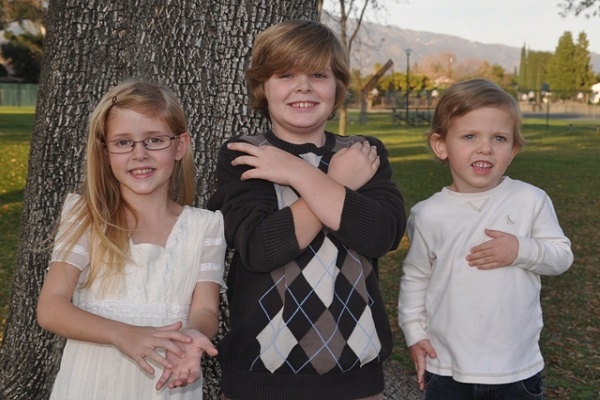 My older children knew their brother had special needs. I talked to them very honestly. I’m sure at times they felt cheated because so much of the focus was on their little brother and finding him the right help. I was quickly able to get them involved. Older children can help by reading stories, playing, and singing. I encouraged my older children to attend speech therapy with their brother. This was a great way to show him support. In the early stages we taught our son sign language, which was wonderful. The whole family was suddenly learning a new language. My older children loved looking online and teaching Luke new signs. They saw him become a communicator and it was exciting. We could all share in the joy of his accomplishments because we all had a part in it! It takes time but you do come to a point of acceptance. It is reassuring to know the odds of your child becoming a verbal communicator are in your favor. As you see your child achieve small milestones it gives you a great sense of hope. Don’t find yourself so consumed in all of your child’s speech needs that you miss out on this precious time. You will never be able to get these moments back. Don’t worry so much. There are things in life we just cannot control. You can only do your best. Enjoy your child! SB: Luke was diagnosed with CAS at about age two, and he has been in speech therapy for several years now. How is his speech progressing? JK: Luke has been in speech therapy for four years. His last progress report was very exciting for us. He has lost his diagnoses of CAS and now is considered to have a mild articulation disorder. He is working on a couple more sounds and should be finishing speech therapy very soon. He has worked very hard all these years and we are so proud of him. Finally, we see the light at the end of the tunnel and we couldn’t be more thrilled. SB: Are you and his SLP trying any new techniques, or have you found that sticking to tried-and-true methods (i.e. Kaufman method) works best for him? ES: Initially, the Kaufman method was without a doubt the technique that worked phenomenally with Luke and many of our other kiddos with CAS. In terms of where we are now with Luke, I can’t say that I am trying any “new techniques” with him. Since his diagnosis is no longer CAS, I am basically treating him as I would any other child with an articulation disorder. This type of diagnosis simply calls for visual and verbal cues or aids to teach him where our articulators are during certain sound productions. I am not currently using any tactile cues to aid the production of /r/. Although back when Luke first came back to Lucid Speech and Language Clinic, I was using tactile cues to aid his production of /sh, ch, and j/. Since /r/ is really the only sound left we have to work on, I wonder if using a tool (one like the Speech Buddies’ offer) might actually be something incredibly beneficial to Luke, which is SUPER exciting! SB: School can be particularly challenging for a child with special needs. Any tips for other parents on preparing their little ones for the first day of school? JK: Our local early childhood intervention is from birth to three years old. At three children are transitioned to the public school system. The time quickly came for my son to begin preschool. I had been his voice. I had been his translator. The thought of sending him out on his own was frightening. I remember thinking, “Would anyone understand him? Would other children tease him? He’s just too young.” I quickly realized these were my own fears and insecurities, not my son’s. The benefits for him clearly outweighed my own anxieties. It’s very helpful for you and your child to visit the classroom before the first day of school if that is possible. Allow your child to meet his or her teacher. Maybe be introduced to some of the students and have the opportunity to explore this new environment. This will give them a chance to become familiar with their new class. Show your child all the exciting things they have to look forward to. Really play up all the positives. If possible, try to schedule a meeting with your child’s teacher. This will give you a chance to express your concerns and give you the opportunity to let the teacher know the needs of your child. It’s important to understand your child’s teacher will have many students to care for, so keeping things simple and to the point will be most helpful. There are wonderful free downloads that are specifically written for teachers. They explain what Childhood Apraxia of Speech is and ways they can help your child. You can even personalize the letter. This is a great reference to print for the teacher. You can find them at www.apraxia-kids.org. Preparing yourself is every bit as important as preparing your child. Project a sense of confidence and have a plan. Even if you are crumbling inside, smile, give your child a big hug and quickly remove yourself. You can head back to the car and cry your eyes out but make your child feel secure. They sense your emotions and if you are fearful there’s a good chance they will feel the same. Show them by example. Feel confident that you are making the right decision. Communication is so much more than just spoken words. School offers countless opportunities for language and learning. This comes in many different forms: interactions with other children, story time, music, arts. Things your child may not always experience at home. In preschool my son went to speech in small groups which was new for him. It let him know he was not the only child struggling with speech. He now had friends he could relate to. Keep in mind also that even typically developing children do not usually have perfect speech at this age. As hard as it was for me to let go, it was an exceptional time of growth for him. SB: Can you tell our readers a bit about your experience with Luke’s school? Have the teachers and staff been responsive to his needs, and how do you encourage collaboration amongst his teachers and SLP? JK: The old saying is, “It takes a village to raise a child.” Well this especially true with a child with special needs. It truly is a team effort. We have been very fortunate to have worked with many wonderful teachers and speech therapist over the years. Luke’s teachers have had no problem with sharing reports and communicating about methods that have worked well for him. I also think it’s important for parents to realize each person in your child’s life holds a unique contribution. I remember being afraid of change as we entered into different stages and situations. I seemed to always find myself pleasantly surprised at the things one person could pull out of him that maybe another could not. Change at times really can be a good thing. Keeping lines of communication between teachers and Speech Pathologists is a huge benefit for you and your child. Lastly, remember you are your child’s advocate. You know your child’s needs better than anyone else does. If you feel they are not being met, do not hesitate to speak up. SB: Indeed, collaboration and speech therapy activities at home are vitally important for a child’s success. 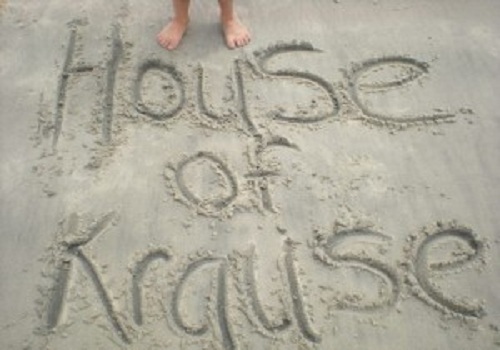 Be sure to check out Jen Krause’s blog for more on her family’s story. Thanks so much, Jen, for taking the time to discuss Luke and share your advice with us!